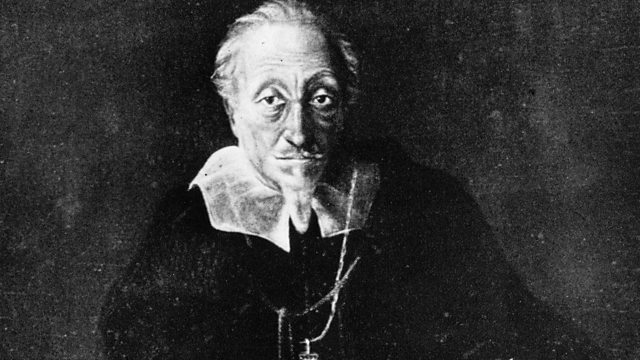 Donald Macleod explores the life and music of German early Baroque master Heinrich Schutz. Today he dips a toe into the fertile archival territory of Schutz’s own writings. Donald Macleod explores the life and music of German early Baroque master Heinrich Schütz. Today he dips a toe into the fertile archival territory of Schütz’s own writings. Unlike many composers from the earlier end of music history, Heinrich Schütz left plenty of documentary traces – letters, petitions, memoranda, appraisals, prefaces, poetry and, in tune with the patronage culture of the times, his fair share of fawning dedications. It’s a body of writings that opens fascinating windows onto the composer’s life and times – and provides plentiful cues for music from one of greatest composers of his age. Choir: Capella Augustana. Director: Matteo Messori. Performer: Margret Baumgartl. Performer: Karina Muller. Performer: Andreas Arend. Performer: Matthias Muller. Performer: Ludger Rémy. Singer: Tobias Mäthger. Singer: Georg Poplutz. Director: Hans-Christoph Rademann. Performer: Margret Baumgartl. Performer: Matthias Muller. Performer: Stefan Maass. Performer: Michaela Hasselt. Singer: Magdalena Kircheis. Singer: Aneta Petrasova. Singer: Tobias Mäthger. Singer: Martin Schicketanz. Choir: Dresden Chamber Choir. Director: Hans-Christoph Rademann. Performer: Stefan Maass. Performer: Matthias Muller. Singer: Gerlinde Sämann. Singer: Isabel Schicketanz. Director: Ludger Rémy. Performer: Alastair Ross. Singer: Mary Seers. Singer: Rachel Platt. Singer: Ashley Stafford. Singer: Frieder Lang. Singer: Nicholas Robertson. Singer: Stephen Charlesworth. Singer: Lawrence Wallington. Choir: Monteverdi Choir. Orchestra: English Baroque Soloists. Conductor: Sir John Eliot Gardiner.